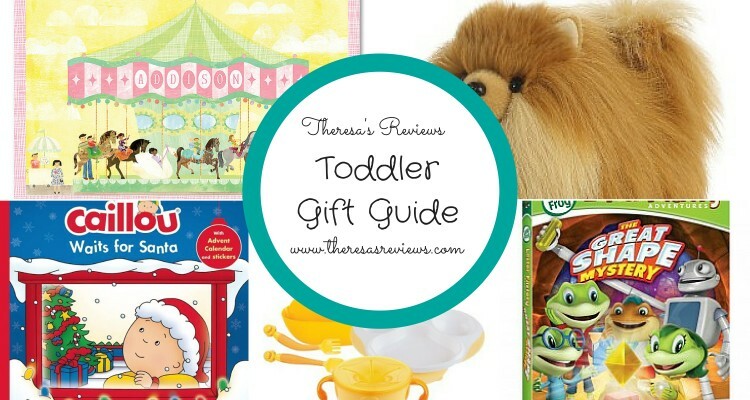 What does every toddler want for Christmas? There’s no easy answer! Each toddler is as independent and free spirited as the next. Raising my second child has been a huge learning opportunity for me. The main thing my younger daughter Georgiana wants is to have presents that are equally as big and impressive as her older sister. Another thing Georgiana hopes for is that each gift is picked out especially for her so she can feel special. 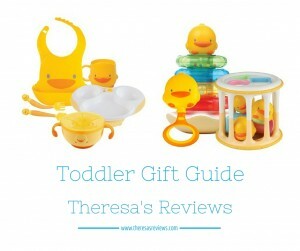 I made a list of some of the top items on my toddler gift guide this year. 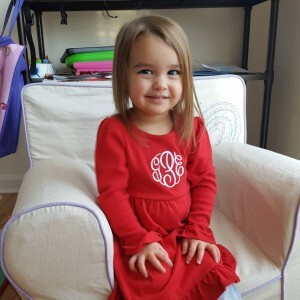 For an adorable Christmas outfit, personalize the Meg & Peg Monogrammed Ruffle Dress with your child’s initials. I surprised Georgiana with the dress well before Christmas. Now, she can get plenty of wear out of it before the holidays end. You can choose seasonal appliques for Christmas, or add a heart so the dress will last through Valentine’s Day. The fabric is soft and comfortable, so she can wear it around the house. Buy a warm and cuddly blanket. Toddlers have outgrown the old blankets they were swaddled in as babies, and they are ready for a blanket that’s a little larger. One of my favorites is the Aden & Anais Heart Breaker Classic Dream Blanket. At 47″ X 47″, the blanket is large enough to cover your little one, and it’s soft so she’ll want to keep it during future years. This heart pattern will show your love on Christmas morning. Toys are a classic gift on Christmas morning. Some of the best toy gifts are the simplest. Kids can get excited about electronic toys, but often, the excitement is short lived. Your toy selection doesn’t have to be pricey at this age. Stuffed animals carry a sentimental value that makes them appealing years later. One toy I like is the AuroraPomeranian. The toy looks a lot like the puppy my daughter plays with every day, so I know she’ll enjoy it. Encourage literacy with high quality picture books. One way to get your kids engaged in books is to buy books based on their favorite cartoons. 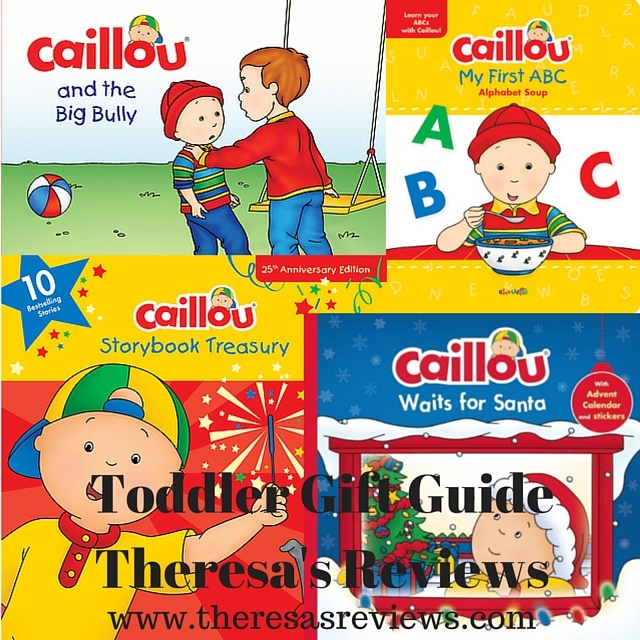 My daughter adores Caillou, so I got her four books in the Caillou book series. On Christmas morning, she’s going to be so excited to get Caillou Storybook Treasury, My First ABC, and Caillou and the Big Bully. We already opened Caillou Waits for Santa because it comes with an advent calendar. Counting down the days until Christmas is even more fun with a book and stickers! Kids love movies. Buy movies that encourage education. 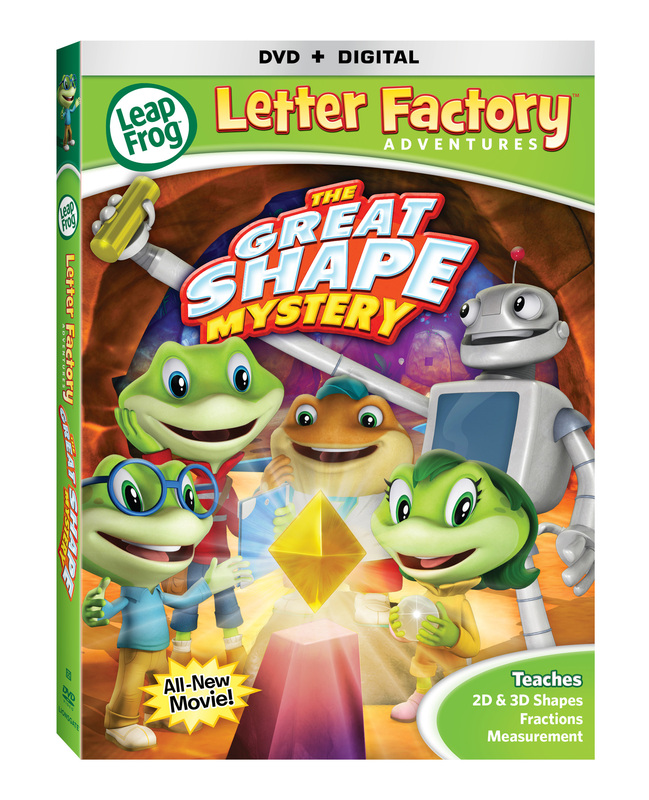 One DVD that helps encourage math skills is Leap Frog: The Great Shape Mystery. The animation style and sweet characters make the movie appealing to kids. Another appealing thing is that the movie is a mystery, so it pulls kids in with a story, to get them focused on learning about shapes and fractions. Toddlers can lose interest in new toys and games quickly. Buy necessities that you would need to buy anyway. You will end up with fewer toys to donate, and you will get more use out of the items that your toddler opens. Since I will be signing my daughter up for swim lessons before the summer, I’m going to give her a Puddle Jumpers Tahiti Life Jacket for Christmas. The life jacket is higher quality than our old one from last year, and it looks comfortable for kids to wear. I look forward to teaching Georgiana how to swim, but she’ll need a sturdy life jacket for quite some time. Parents, what gifts have you given your toddlers in the past? Did your gift choice work out well? Companies, are you interested in getting in touch with me about adding your item to this gift list? Contact me at theresasreviews@aol.com.